For exceptional boiler installations, choose our fully qualified plumbers. Based in Burntwood, Staffordshire, DJR Plumbing & Heating takes pride in providing an extensive range of boilers alongside dependable heating repair services. No matter your needs, you are sure to receive a new boiler that suits your property. Comprehensive installation services are available for gas-fired boilers, gas fires, and gas cookers. Because we are not tied to a particular manufacturer, you're able to choose from a wide assortment of boilers to find the product that makes the most sense for your home. When you're unsure about which boiler is appropriate for you, our friendly team are happy to share their expertise. When you appoint our reliable plumbers, we won't rest until the job is completed thoroughly. From start to finish, we'll work indefatigably to leave you with an intelligently installed boiler. What's more, our skilled team is capable of measuring and designing a full heating system from scratch. 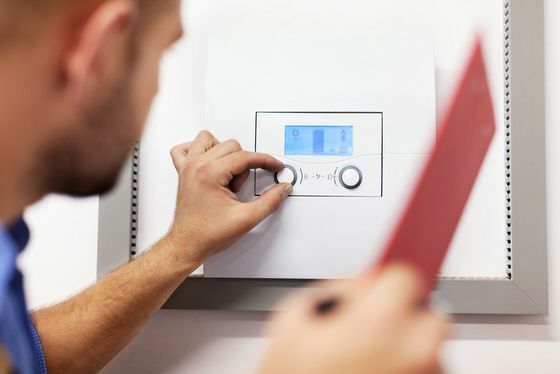 Drawing upon our truly extensive industry experience, we carry out under-floor heating installations. As with the bathroom installation services we provide, our experts proudly present a wide-variety of options. That means you're free to choose which high-quality solution our plumbers install. Heating maintenance and repair services are also available. A broad catalogue of gas appliances, including boilers, fires, and cookers, are skilfully repaired by our qualified, insured team. Because we are not limited in the kinds of repair we may offer, we always endeavour to find a solution to the problem you are having. As Gas Safe Registered engineers, we reassure clients that the corrections we provide are safe and thoroughly considered. With a large customer base and a sterling reputation for quality, we're sure you'll be ecstatic with the services we provide. Contact our boiler installation team, in Burntwood, Staffordshire, to receive advice about obtaining a new boiler.